My take on this may not agree with yours nor does it have to. Everyone has their opinion based on whom they wish to blame. This situation isn’t solely between Rodgers and McCarthy, it lies deep within the climate created at 1265 many years ago. The Packers had HOF caliber quarterbacks since 1992 and only have two Super Bowl titles to show during that period. There has been a gross mismanagement of talent in Green Bay during that time and poor coaching decisions. Mike Holmgren bolted for Seattle for more power when the Packers were at a peak, where he failed. The Ray Rhodes experiment lasted one year. Mike Sherman couldn’t manage both Head Coach and General Manager duties and had limited success only winning division titles despite having Favre. The McCarthy era followed. He couldn’t handle Brett Favre, only making it to the NFC title game, losing to the NYG at Lambeau. 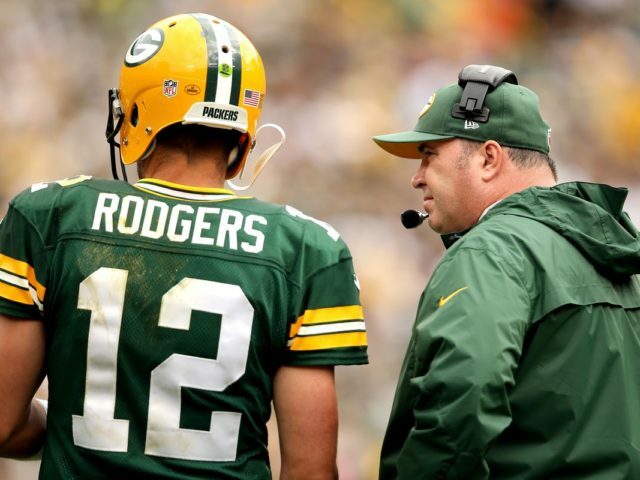 In ten seasons with Rodgers at quarterback McCarthy won a Super Bowl and advanced to the NFC title games three other times. Hardly what matters in Titletown where Super Bowl titles are what defines a team. Ron Wolf brought in Free Agents and had success, winning a Super Bowl, but shouldn’t it have been more? Ted Thompson had an aversion to signing veteran Free Agents and felt he could develop and fill a roster with young talent. Obviously what Thompson didn’t realize is that veteran presence on a team creates leadership and accountability from within. The Packers have only one Super Bowl title from Thompson’s era. No one can say it shouldn’t have been more. By my estimation, with Favre, the Packers should have had no less than four titles and with Rodgers it should already be three. The fault here is lack of surrounding talent and poor coaching. Examples of poor coaching you ask? Holmgrem vs Denver in the Super Bowl, McCarthy vs NYG NFCCG, McCarthy vs Seattle NFCCG, and McCarthy vs Atlanta NFCCG. Concerning Rodgers and McCarthy, both individuals value winning above all else and are fierce competitors. These characteristics are what any fan base should want from their leaders. As we have seen it takes much more than “will to win,” to be successful. The roster must remain healthy, with which the Packers seem to have issues. There must be talent behind the starters who are ready and willing to step in and up when called upon. 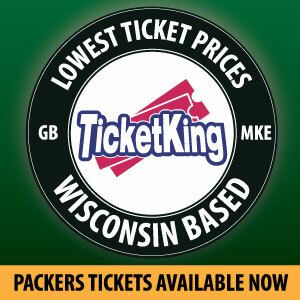 This is another area where the Packers have failed. The coaching staff and management must be willing to adapt to the changing game and the talent you possess. Another Packer failure. These constant Packer failures, wore on both McCarthy and Rodgers over the years. Fans could see the disgust on Rodgers face many times and his body language signaled displeasure on many occasions. McCarthy seemed frustrated and gave the same lame excuses during post game pressers….back to fundamentals, attention to detail, study the film, etc, etc, etc. I want my quarterback and coach to have an ego. That’s what it takes to win. Don’t think for a minute that Brady and Belichick don’t have larger than life egos. Brady is constantly seen berating his teammates on the sideline, as well as Belichick. The Patriots win because Belichick understands how to build a roster, fill in for injuries, game plan, anticipate the opponent and allow Brady to be Brady. The only Packer coach who possessed similar skills was Mike Holmgren. It was a shame he left when he did. Don’t be fooled by pundits telling you Brady calls audibles, while Rodgers “changes plays.” If you listened to Tony Romo commentate any of Brady’s games during the Patriots playoff run this past season, Tony freely used both terms, changing plays and audible at the line to describe Brady. Tony stated only a few elite quarterbacks were allowed this privilege, one of which was Rodgers. I’m sure Rodgers free-lancing aggravated McCarthy who deemed himself a “highly successful NFL football coach.” McCarthy wasn’t on the field, he didn’t see what Rodgers and the players saw from the opponent. NFL teams have come forward and stated the Packers offense had grown stale and they easily anticipated the plays the Packers would run. Until Mike Pettine joined the staff, the defense also didn’t adapt to the new offenses. Let’s hope Pettine’s defense continues to make strides. Packers new head coach Matt LaFleur will be best advised to not even address these articles. Nor should any Packer. These alleged accusations are in the past and have no place in this locker room. The past is the past, period. The Packers need to have a good draft, stay healthy, and prove the pundits wrong. We should be optimistic this team will be better. The Packers have four new Free Agents and ten draft picks to ensure they improve. Let’s enjoy 2019 and forget all else. Packers, Calm before the Storm! This entry was posted in Greg Pierangeli and tagged Aaron Rodgers, Green Bay Packers, mark murphy, Matt LaFleur, mike mccarthy. Bookmark the permalink.